When you think of Singapore you’d think about its buzzing city full of skyscrapers, malls and condominiums, but do you ever wonder what residents do there for fun? Well it’s no secret that beyond the large jungles of concrete lie green spaces with a lot to discover, such as parks, ridges, wildlife reserves and hiking trails. 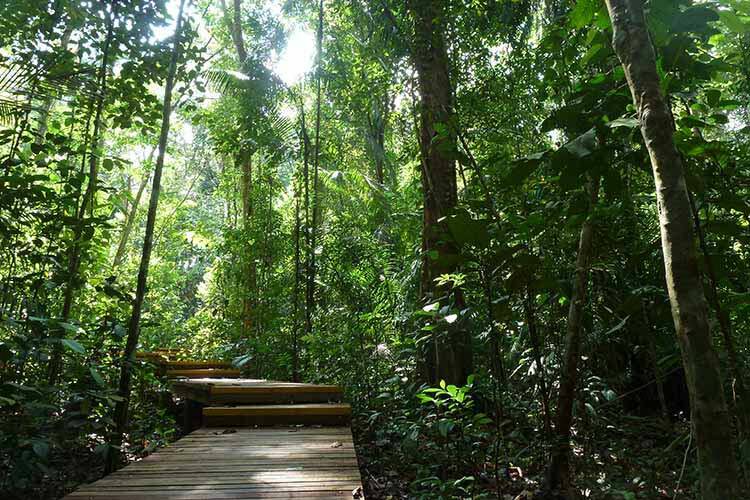 There is a variety of walking trails and hikes in Singapore, which range from treks through the tropical rainforest to coastal walks by the sea, there are long hiking trails that’ll let you soak in views that can only be described as breathtaking. 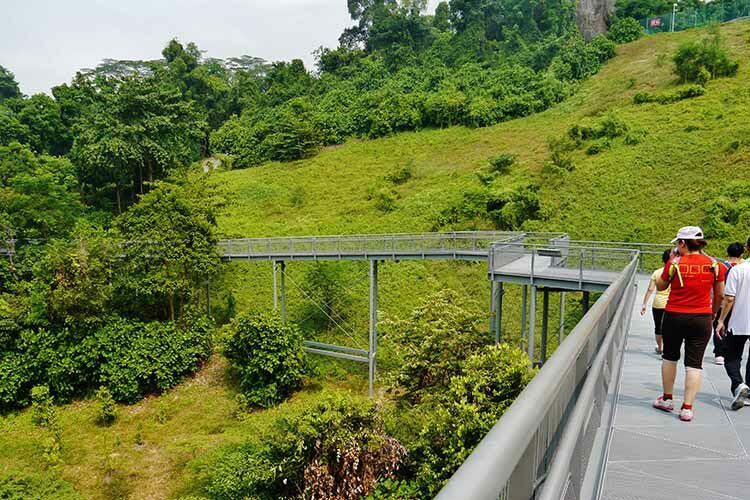 The southern ridges Cover over 10 km of open green land that connects a network of trails starting at Harbour front Mass Rapid Transit (MRT) station and the path takes you through Mount Faber Park, Telok Blangah Hill Park, Hort Park and ends at Kent Ridge Park. Visiting all 5 parks in one trek is not a bad deal if you ask me. The breathtaking scenery offers a spectacular bird’s eye view of the entire forest canopy, as you continue along the constantly changing trail. During the climb you will notice that you’re surrounded by lush greenery on one side and a beautiful view of Singapore’s landscape on the other. If you are looking for something within the enclosed city of Singapore, it rests at the heart of the city, yet steals you away from the drama of city life. 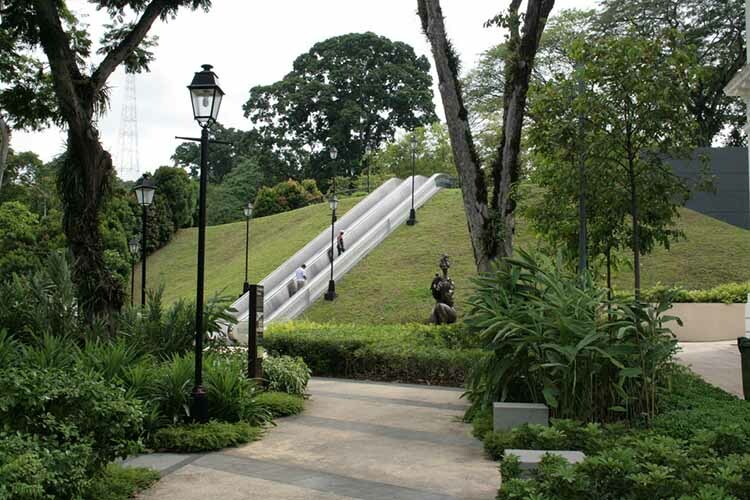 Fort Canning Park is the place you are looking for. It is a small mound which is just the right size for anyone to take up the challenge to hike up the trails which are strewn with over grown bushes, wet mud and the walls are damp and quaint. However due to its location it has become a place of recreation where concerts and live programmes are held yet there are special hiking spots meant just for enthusiasts. Bukit Timah is the tallest hill in Singapore standing at 163m, it is a local favourite for hikers all across Singapore. 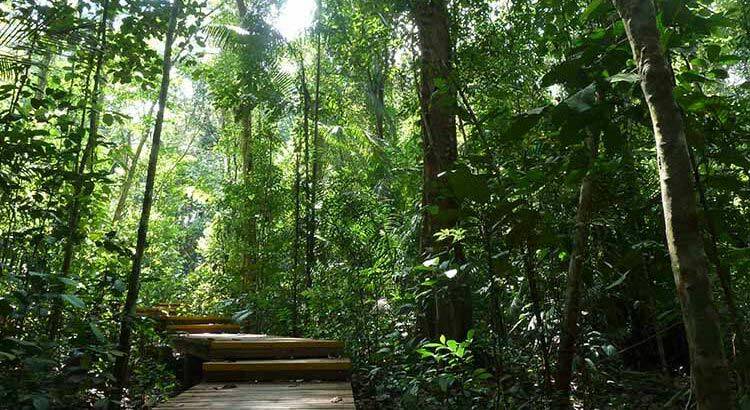 As you trek up the hill you venture into the dense vegetation of Bukit Timah nature reserve, this is a great place to have a guided hike, The best way to get to the top is to take the path through a steep and sometimes slippery trail and hike up the hill. A trek that is a must do for and hiker is the Treetop Walk at the Central Catchment Area. 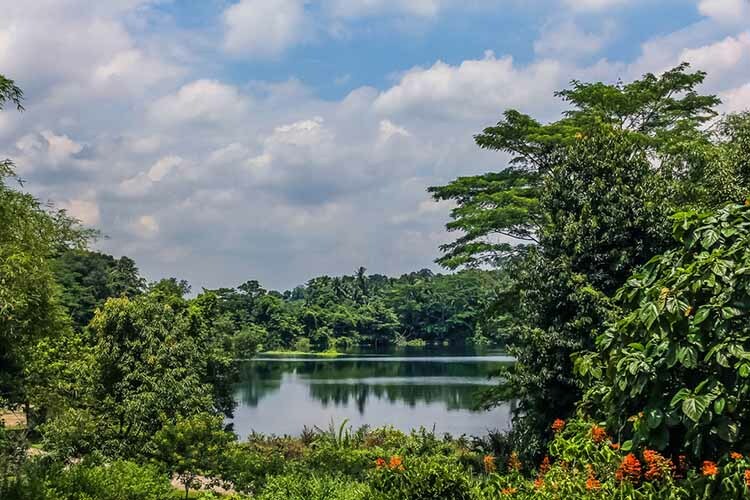 First make your way through Venus Drive, along the boardwalk of Windsor Park before reaching the Peirce Track to finally arrive at the Treetop Walk suspension bridge where you can see the waters of Upper Peirce Reservoir in the distance. This is quite a challenging trek up which will take you up to 4-5 hours to reach the top afterwards it is a pleasant downhill trek back to Venus Drive. Dairy Farm Nature Park is probably the most challenging hike in Singapore due to its vertically-inclined challenges. 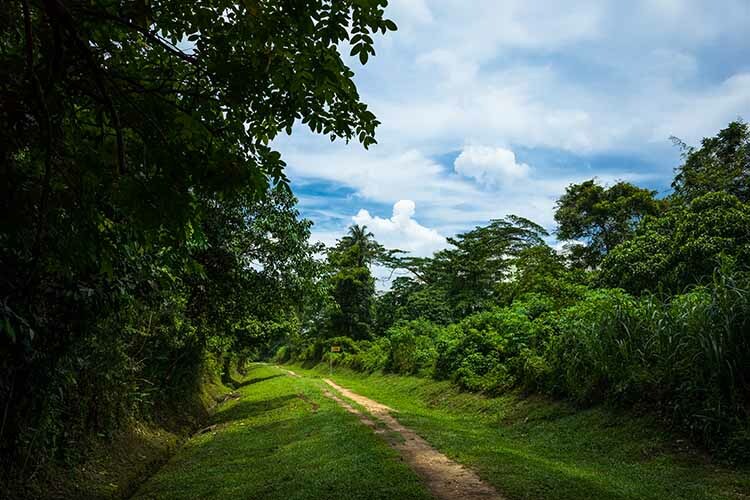 There are Walking trails that take a long time on foot it is considered difficult because of its steep climb up the foothills of Bukit Timah Hill, However, you will feel a sense of accomplishment once you have completed the entire hike up to the top. 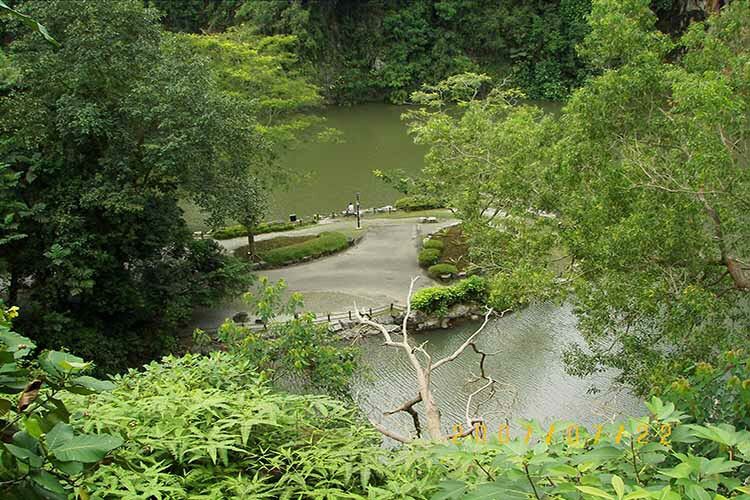 The steps around Bukit Batok Nature Park make it a refreshing hike that will challenge your legs. whether you’re a veteran hiker looking for an intense workout, look no further as the terrain in this park is safe and is not slippery so don’t be afraid to go a little faster. This is also a great place to encounter Singapore’s wild life. Some of the wildlife you may come across is strange lizards and unique birds; they usually hide amongst the trees so you have to keep a keen eye out for them. Serapong hill also locally known as Clement hill, it was initially used as a military base and housed huge water reservoirs. 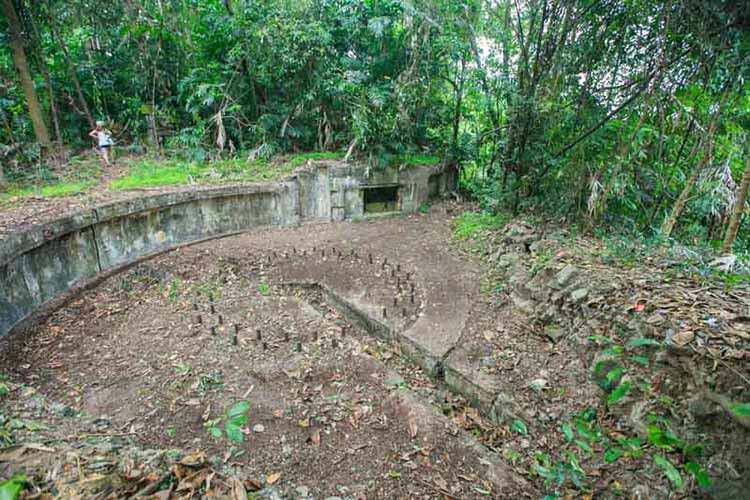 At the summit of the hill sits the serapong fort which the British army had built in the late 1800’s .The main reason to climb up the serapong hill is to get a glimpse of the fort which still houses mysterious tunnels, batteries and an underground room. As it was during the last time they used it which was during the Second World War. This offshore island is where the kampong heritage is still alive. This is another gem for hikers in Singapore. It could easily take you 3-4 hours to hike up to the top which is 76 meters high it is considered a tough climb up due to the hill’s steep and slippery trails. The hike up is consists of rocky terrain. 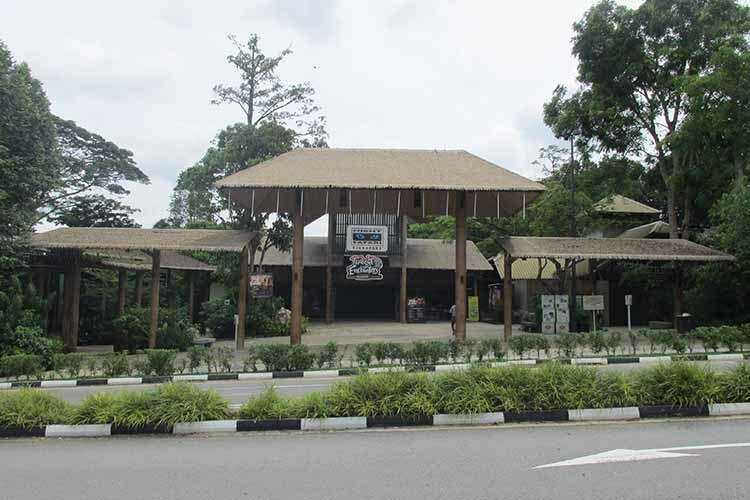 The Singapore Night Safari is located in a lush rainforest next to the Singapore Zoo. The rainforest is divided into multiple zones where nocturnal creatures are housed. There are multiple walking trails leading to each zone where unique and beautiful animals are housed. You can spend the entire night exploring these trails and coming face to face with beautiful leopards, elephants, koala bears, foxes, arctic wolves and other lovely creatures across acrylic partitions. The Singapore Night Safari is so exclusive that it’s well worth enquiring about Singapore tourist visa requirements just to hike the night safari trails. We hope that we have convinced you to look at Singapore not just as a destination for fun and entertainment, but also as a hotspot for adventurers such as hikers, mountain bikers, climbers and others. Singapore’s hiking trails are waiting to be explored so why wait. Pack your bags today.